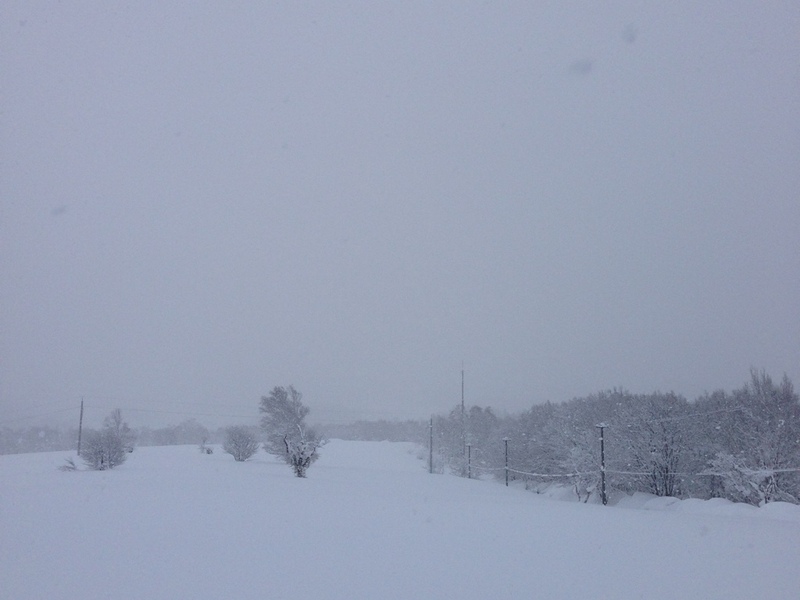 *18cm of fresh snow as fallen in the last 24hrs just outside of Hirafu Village. At 07:45 today the temperature was -7°C. Again it’s overcast, snowing lightly and visibility is low. 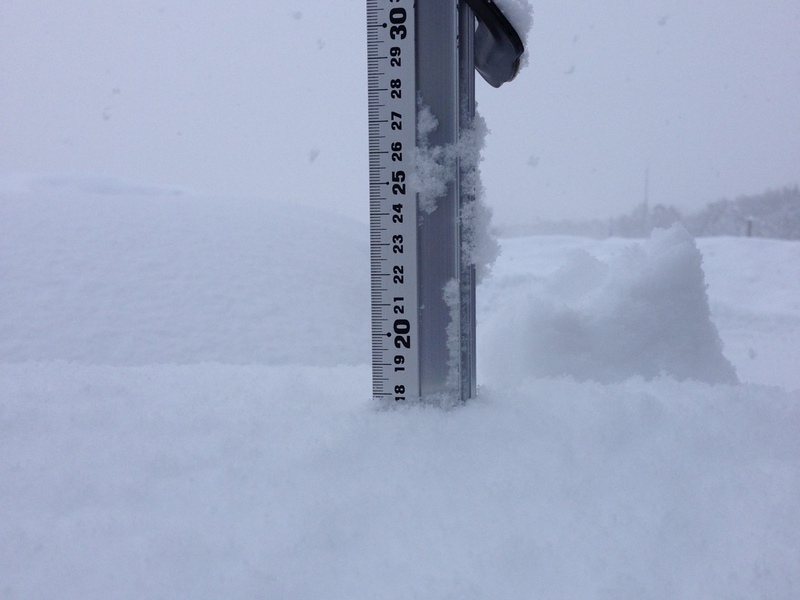 Glen the accumulative snowfall to date appears to be wrong. Should now be over 13m?